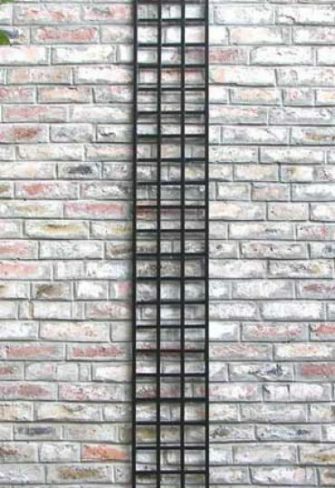 Even an unplanted trellis transforms a dull façade. 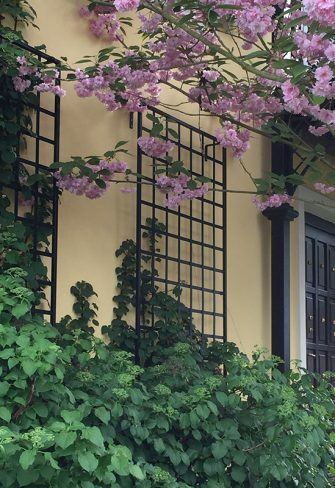 When covered in blossoms, it is a joy to the eye that connects your house with your garden. 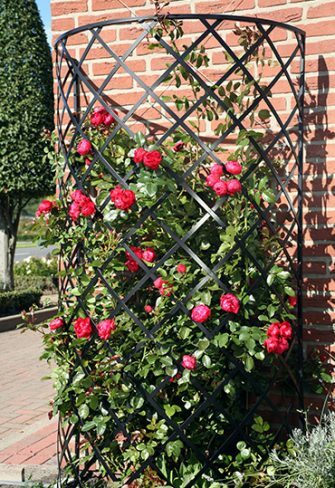 Vigorous climbing roses will appreciate the stability of this trellis, the elegant iron cousin of the more rustic wooden variety. 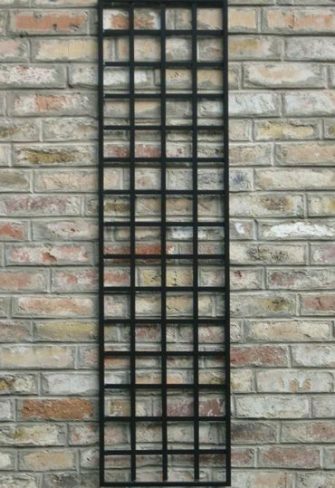 Unlike a wooden frame, however, a metal trellis will not need to be treated annually with protection agents, some of which can be at least partially toxic. The 10-centimetre gap between frame and façade prevents dampness by allowing air to circulate freely. 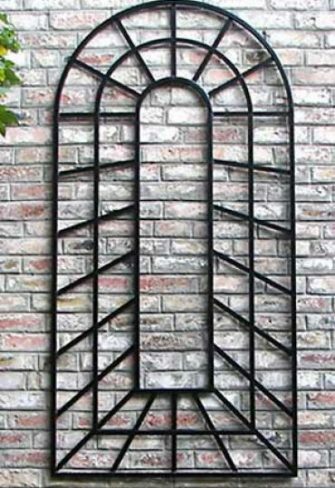 Classic Garden Elements offers you the widest range of trellises both in standard measurements and made to order. 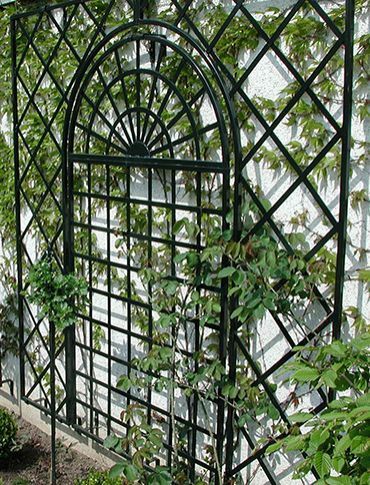 Our designs include the classic wall trellis, narrow latticework frames, French treillage frames, large and small trompe-l’oeil models, distinctive wall and orangery trellises, large, small and narrow Bauhaus frames as well as clematis supports. Opinion on whether climbing plants should be grown on the façades of houses is as varied as the plants themselves. Some of us are thankful for the extra layer of insulation, and take great delight in the visual impact it adds to a building. Others are more sceptical about the value of a living coat of vegetation around a house. Yet we know that the ancient Egyptians built arbours covered with vine branches and that, in classical Rome, the cooling effect of climber plants on buildings was gratefully exploited. A coat of green remains a source of fascination today, whether on country homes or – more and more common – on town houses too. The critics do have a point, however. Greening a façade is not without risk of damage. Yet this can be avoided by following some simple rules. It is important to distinguish between self-clingers and leaf-climbers. Self-clingers, such as ivy, woodbine and climbing hydrangea, grow directly on the wall of a building with the help of sticky pads or clinging roots. 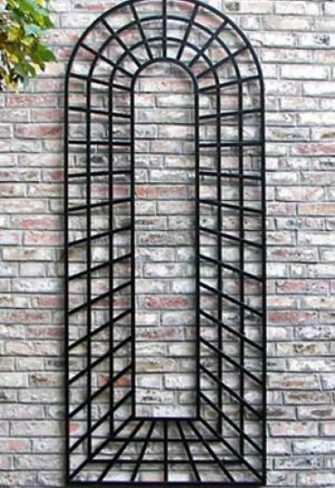 They should only be used on well-built, solid masonry walls free of cracks. 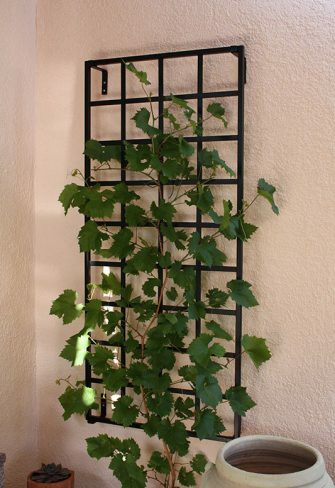 Their vines should be cut back regularly, once or twice a year, and kept strictly away from the roof and windows, and from any gutter pipes, awnings or air vents. Dead vines should always be cut away. 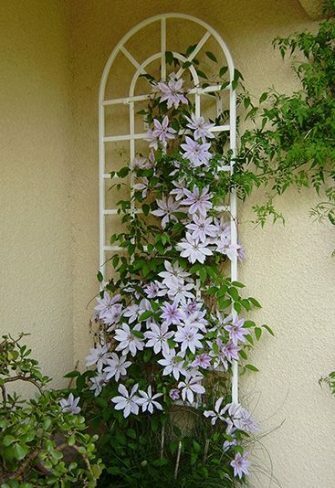 Non-clinging leaf climbers, like clematis, wisteria, honeysuckle or climbing roses, must be attached to trellises, which are placed close the wall of a building. It is important to choose frames strong enough to support the plant. Shoots will need to be tied regularly to the frames and pruning is equally important. If these rules are followed, the advantages of a living green wall will dwarf any drawbacks. 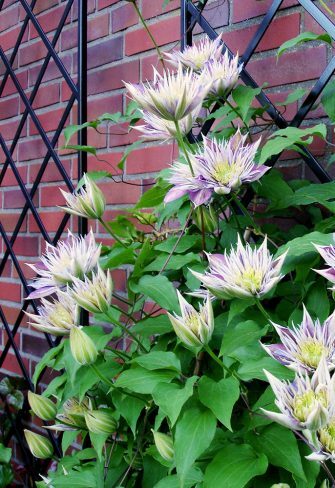 Clematis, with its magnificent colours, is a classic climber to attach to a trellis located in a semi-shaded or shaded area. To ensure that it does not lose its foliage lower down, it is important to know which clematis pruning group it belongs to, and to cut it back accordingly. 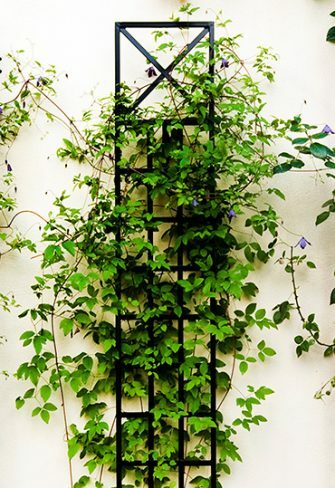 The highly fragrant honeysuckle (Lonicera) can be relied upon to scale a trellis quickly, and is easy to keep in check. Some varieties of honeysuckle are evergreens. Wisteria doesn’t have the best of reputations, as it can be difficult to keep under control. This is why it is essential to attach it a stable support frame, and to prune it regularly. If you do, you will be dazzled by the fascinating clusters of opulent flowers it produces. 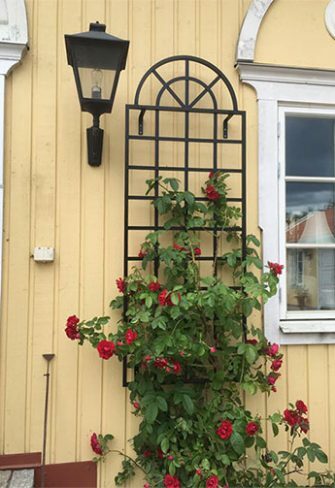 And finally, from early summer on, the climber rose, the most popular of all the non-clinging plants, will displays its blooms over a period of many months. 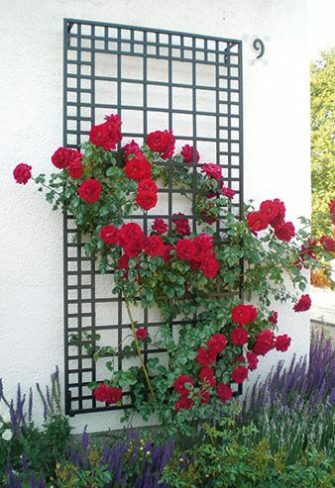 Repeat-flowering varieties can grow up to 5 metres high if attached to a metal trellis. However, beware of allowing the shoots to grow in and out of the meshwork, as this will cause problems with pruning. Always attach shoots to the outer side of a support frame, making sure they do not grow inwards.